The classic Magnolia Twine but with such a care for details and small elements.. that we simply love. 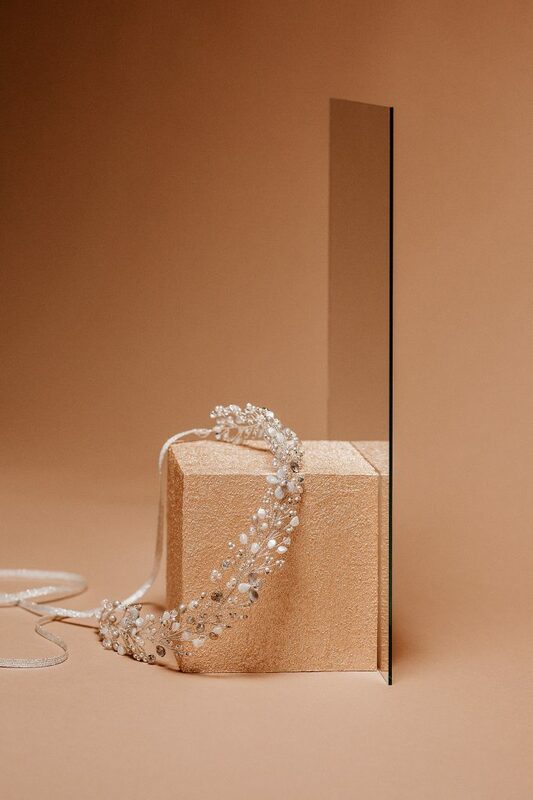 For creating this beautiful piece we used the Lilac glass flowers, Swarovski crystals and small sand beads. 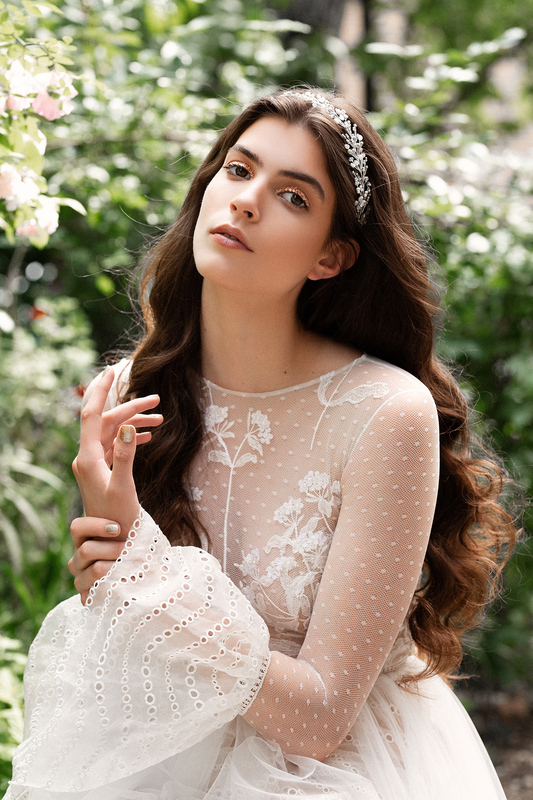 The silver patina and rose gold patina effect of the Swarovski Crystals are the final touch of this splendid headpiece. The piece is made from flexible wire so it can be easily worn either in front of the head or gathers around a romantic hairdo. 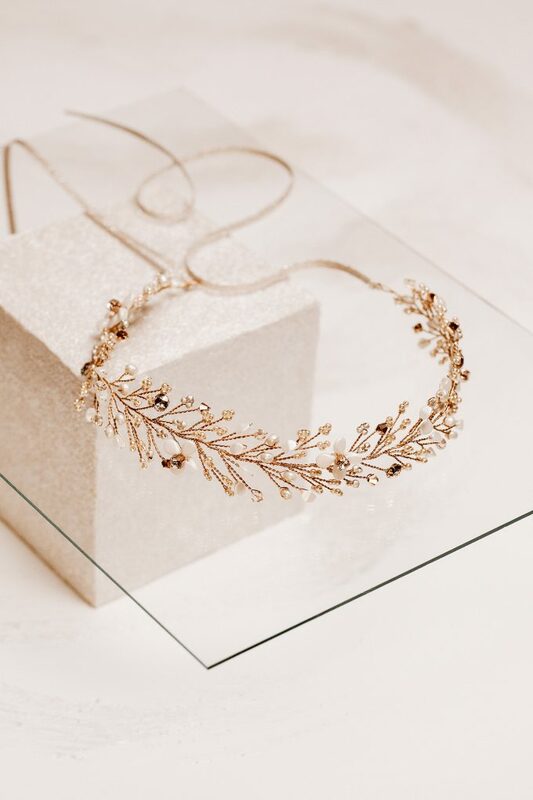 Wear it with the matching Sand Beads Earrings and style it in a minimal hairdo so it can bring the preciousness you look for while wearing the Magnolia Headpieces..